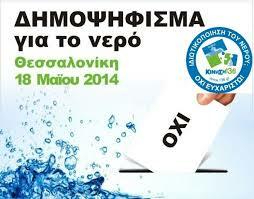 Water and sewerage is under public management in Greece. In 2011 the government included Thessaloniki Water Supply & Sewerage SA (EYATH) in the list of state owned enterprises that would be privatized under the pretext of financial crisis and austerity measures (imposed by the Troika’s demands). EYATH SA was set up in 1998 and in 2001 went public in the Athens Stock Market . At that time, the government broke up the enterprise into two parts: EYATH SA is responsible for management and services’ provision, while EYATH Fixed Assets is a Public Law Body, responsible for the management, maintenance and operation of the company’s fixed assets; the management of the state's rights to water provision and support to investment plans . The main EYATH shareholder was the Greek state, holding 74.02%. Since March 2012, the Greek state’s shares were gradually transferred to the Hellenic Republic Asset Development Fund (TAIPED) in order to sell them. As the enterprise went public in 2001, several grassroots and trade unionists considered that this was the first step towards the privatization of the company, although the state held 74.02% of the shares. In 2011, upon the announcement of the government intention to fully privatize, a civil society movement was initiated. One of the first active groups was “Initiative 136”. 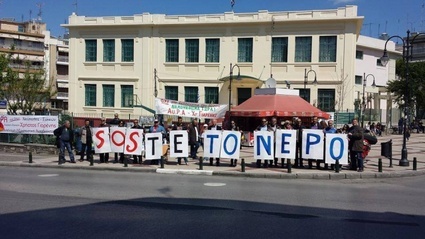 As the privatization issue was publicized and awareness grew, a coordination group of citizens and stakeholders, S.O.S.te to Nero (Save Water), was created in April 2013. Following intensive campaigning and awareness raising of the public and the local authorities, different actors and groups, political parties, grassroots, academics, as well as municipal authorities and trade unions worked together in the struggle against privatization. “Initiative 136” worked on the idea of building up a cooperative company owned by its users, with the goal to have a more democratic and cooperative management. The initiative took its name from the amount of money (136€) that each hydrometer costs. The idea was that each resident who has a hydrometer in his/her house can participate in a Cooperative in his/her area (district or municipality). All the Cooperatives together form the “Citizens’ Union for Water”, the Union of Non-Profit Water Cooperatives of the Municipalities of Thessaloniki area. The Union submitted an Expression of Interest for the acquisition of 51% of EYATH . Although, in June 2013, TAIPED announced that the Union is excluded from the second phase of the process as it didn’t fulfill the conditions, but denied to publicize the reasons. The Union appealed to justice and was vindicated. In May 2014 the Council of State gave a ruling accepting Athens residents’ demand for not privatizing EYDAP (Athens metropolitan area water and Sewerage company). At the same time it rejected EYATH’s trade union demand for cancelling the privatization, as it judged that the union didn’t have interest to intervene . 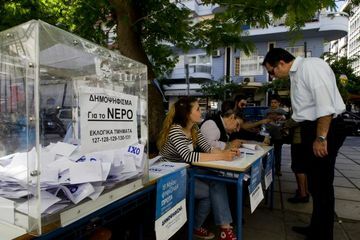 In March 2014, the Regional Association of Municipalities of Central Macedonia accepted the proposal made by S.O.S.te to Nero to hold a referendum in Thessaloniki along with the Municipal Elections of the 18th of May. A major public information campaign was launched in order to sensitize voters, as well as to get financial donations and to mobilize volunteers . Two days before the elections, the Greek Government forbade the referendum. A major effort was made by the civil society movements, along with volunteers from Greece and abroad in order to carry out the referendum. Tens of activists set up tables and ballot boxes outside the electoral departments. They got the electoral lists from the Regional Association of Municipalities of Central Macedonia and they worked hard in order to count the votes and announce the results . 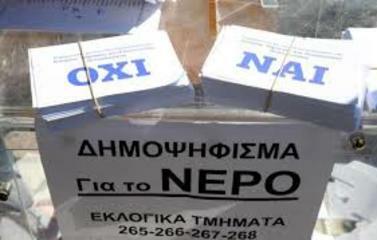 98% of the citizens who participated in the referendum (218,002 voters in total) voted No to the privatization . Furthermore, the municipalities of Thessaloniki metropolitan area that get water from EYATH, decided to take back the networks, pumping stations and reservoirs that had been granted to the state owned company in 2001 . At present, the government seems to be changing its plans. In its latest announcements it mentioned alternative scenarios, such as the buyout of EYATH by EYDAP , or selling by tender of a minority of shares along with the concession of the management to a private company . Hellenic Republic Asset Development Fund (TAIPED) 74.02%; Legal Entities 16.52%; Natural Persons 8.32%; Shared tranche 1.14% . EYATH SA gross profit for the period 2007-2011: 143.000.000 euro . Development of Alternatives A Union of Non-Profit Water Cooperatives of the Municipalities of the Thessaloniki area, under the name “Citizens’ Union for Water”, was created. The Union comprises 16 primary municipal cooperatives corresponding to the municipal communities of the Municipality of Thessaloniki and to other Municipalities in the wider metropolitan area of Thessaloniki, as well as one solidarity cooperative for people that do not live in the metropolitan area of Thessaloniki . Citizens can apply for being members of a cooperative. The members of the cooperatives can get microloans or funding from Social Responsibility Investors, in order to ensure that all citizens are able to participate in a cooperative, regardless of their financial situation. The main philosophy of the Union is to have a democratic, nonprofit water management, ensuring citizens active participation and a good quality of water at a low price . There were some objections to this process, as the state used to have the majority of the shares; the main argument was that the citizens will buy something that already belongs to them and that this was a form of privatization. Why? Explain briefly. The privatization process for both water companies (Thessaloniki Water Supply & Sewerage SA (EYATH SA) and Athens Water Supply and Sewerage Company (EYDAP S.A.)) has been suspended. The Greek government has the obligation to proceed to the privatization of several public companies. This obligation derived from the agreements between the Greek governments and Troika (EU, IMF and ECB). The privatization process of water companies of the two bigger metropolitan areas of Greece faces great public opposition. Especially in Thessaloniki, a mass movement was established, gaining support from all over Europe and networking in European and international level. At the same time, municipalities in both areas expressed their opposition to the planned privatization. 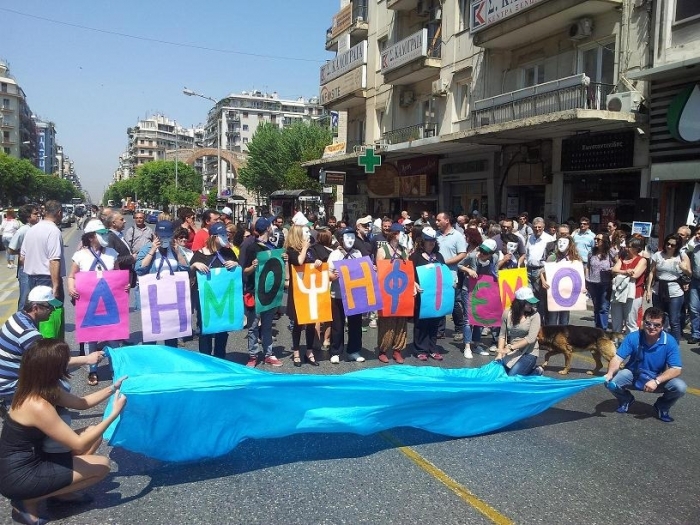 The public opposition, expressed in the result of the referendum organized in Thessaloniki, along with the Council of State decision that blocked EYDAP’s privatization process, forced the Greek government to suspend the privatization process. Most recently the Minister of Infrastructure, Transport and Networks said that the new plan is the buyout of EYATH by EYDAP. But still nothing is clear. It’s sure that there is a first victory, but the government hasn’t announced yet the definite stopping of the water companies’ privatization process. 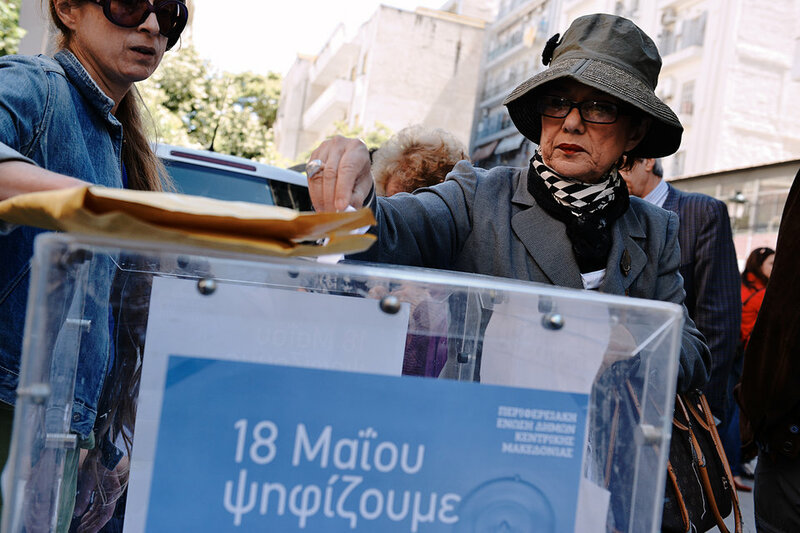 Initiative 136, 2013, Press Release: The citizens' bid to control Thessaloniki's water! Initiative 136, 2013, Press Release: The citizens' bid to control Thessaloniki's water! "Citizens' Union for Water"